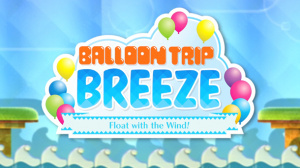 Nintendo is slowly but surely drip-feeding us news regarding the mini-games in its forthcoming compilation Nintendo Land, with the latest reveal being Balloon Trip Breeze. 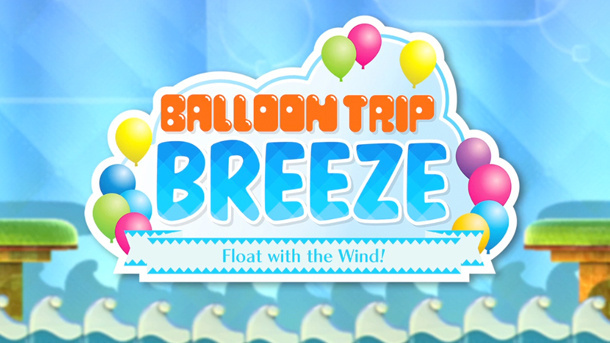 Based on the NES title Balloon Fight - which received a sequel on the Game Boy called Balloon Kid - Balloon Trip Breeze uses the Wii U GamePad's touch-screen for control. By tracing on the screen with the stylus, you can help your airborne character avoid deadly hazards. It's all looking rather jolly, and is yet another indication that Nintendo is keen to exploit every element of the GamePad's functionality in Nintendo Land. You can check out the trailer on the Game Informer website. Looks like one of the more boring games IMO.. Especially if it's singleplayer only. Just watched the video with my kids. My 9 year old said - "I don't get this." and my 7 year old said "neither do I". And then when the video ended the 9 year old walked away and the 7 year old said " stu-ped" as only a 7 year old can. Funniest part of the video - the 10 cartoon violence warning at the beginning. 10? Really? My 7 year old is watching me play "Boderlands" yelling out "Headshot!" whenever I kill somebody. Which he learned from all his friends at school who play COD. Great to see a new Balloon Fight game. I love the original game which I got as an ambassador game. I remember playing Balloon Fight at my friend's house when I was younger. It was fun to play with two people and Balloon Trip mode is also a great timewaster. And those who haven't yet experienced NES Balloon Fight should try it instantly. Even better if you have a friend to play with. I'm sure anyone can have fun playing this game if there's a friend to play with. As usual, I think NintendoLand is gonna try to be aimed at 'everyone'. Balloon Flight isn't necessarily aimed toward kids. Seems like it's aimed more towards retro gamers who wants a throwback of the old classic. It doesn't even feature multiplayer. Sounds like Metroid Blast would probably suit your kids better. 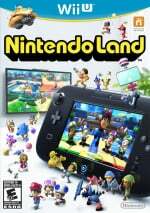 altough the nintendo land concept looks promising and loaded with fun.... will it be enough to attract people on the WiiU ? the games look fun, but not groundbreaking. how will the tablet's sensibility compare to an ipad ? The WiiU is using a Resistive touch-screen compared to the Ipad's Capacitive touch-screen. So it's gonna be a slightly improved version of the Nintendo DS/3DS touchscreen in bigger scale. Compared to the Ipad, your gonna have to give the GamePad some actual pressure for it to notice, unlike how you can just touch the Ipad to do stuff. It's gonna have a harder time recognizing fingers than a Ipad. But unlike the Ipad, you can use styluses or pens on the GamePad. Which will make you able to paint and do a lot of other stuff with more accuracy than you could with your fingers. The GamePad touch-screen is also a lot cheaper to produce. Okay, so this is becoming one of my most anticipated games. Nintendo Land has crude Humour? well i might get this...depends on how much it is. i think my kids would enjoy it. Thanks everybody for the feedback. So basically this is one of those games played "for nostalgia purposes" only. I'm not a big nostalgia person. I played a lot of pong and pac-man growing up but I have no need to play them now. My kids, being kids, have even less. They didn't even want SSB b/c we already have Brawl and Melee and they said it looked bad. I don't think they liked this though b/c the stylus was just flying about every which way so it kind of looked like Jetpack Joyride but without any rhyme or reason. My kids enjoy playing both simple iOS games and 3DS games - they both loved Kid Icarus - but this just looked weird. Though as someone mentioned, the Metroid game looks good. So do some of the other ones. We'ld probably actually even buy NintendoLand if sold separately, but we won't be playing this. I still think this game's going to be a lot of fun, especially when combined with Miiverse and the multiplayer functionality. [Random People]: Bring back Balloon Fight! Relaunch old, forgotten franchises! [Same Random People]: This looks boring! Too kiddy! Blah! Personally I can't wait for a generation of Nintendo bringing their crisp, clean, whimsical art style to HD. Looks so lovely. Love the art style, this looks great! While this does look fun, after looking at the video, am I the only one who thinks this is a bit too frantic for the tablet controller, that it will be hard to concentrate on both the main screen and the tablet at the same time? Just watched the trailer on youtube, looks pretty fun.